Tajh also known as "Rare" is an 18 year old modern artist. 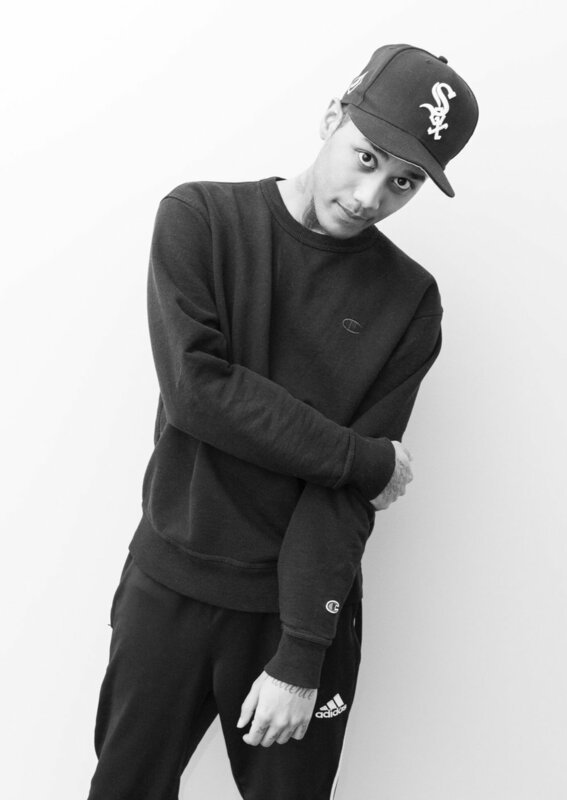 He is a rapper, dancer and visual artist specializing in illustration. From a very young age, Rare knew he wanted to be in entertainment, due to his creative mind and love for the Arts. He aspires to be a successful star through multiple outlets but plans to get his foot in the door through rapping. Rare has been writing his own music for the past 2 years and has accumulated over 30,000 Soundcloud plays in the last year alone! Through Art Start he will continue to further his lyricism and skills in music production through beat making classes and recording with the in house producer. Rare plans to continue improving his drawing skills through art classes and creating tattoos for himself and others. Trill Will is a 19 year old recording artist. He also models and designs clothes. Trill has participated in New York Fashion Week and other industry events. Music has always been a passion for him and he has been making content since he was 13. Trill Will has a large following on social media and is someone to definitely look out for this year. Through Art Start he will continue to learn more about music production and develop his skills. You can follow him on instagram, snapchat and soundcloud @Trillwill610. Kayla is a 16 year old visual artist and fashionista from Harlem. She enjoys exploring the darker side of things, painting neon devil girls and killer aliens and zombies. Her art style also leads into her own fashion sense. She is unafraid of embracing her own unique identity. While at Art Start, she hopes to master the usage of oil paints, complete her miniseries of paintings and learn how to make digital art. In 2018 she took a pre-college digital illustration course at FIT. She is also interested in exploring acting and through Art Start is currently enrolled in an improv 101 class at Magnet Theater. Joshua is a 20 year old actor and visual artist from Brooklyn. Joshua takes pride in his unique style of drawing and being completely self taught. He dreams of starring in a large action film as a superhero, such as Miles Morales in Spiderman, inspiring youth with a positive message. For now he spends hours upon hours creating stop motion films, where he can create his own story while balancing school and work. He’s taken improv 101 at Upright Citizens Brigade building his foundational knowledge in acting. In the Art Start program, Joshua hopes to explore different art forms including, acting, sculpting and stop motion videos in order to be more than ready to take on the world as a successful actor. Daysean is an 18-year old multidimensional artist from the Bronx, New York. He started sketching when he was 8 and in middle school began writing songs as his appreciation for Hip-Hop music + poetry blossomed. These ‘hobbies’ brought him to Art Start’s “Emerging Artists Program”, where he focuses on sketching and illustration as well as songwriting and recording. He has taken vocal lessons and a character design class whilst being mentored by professionals in his fields. His artwork has been auctioned and sold at Sotheby’s Auction House and Elizabeth Sutton’s “Good Vibes Only” event. He has also performed at Art Start’s 25th Anniversary event and the grand opening of Art 511 Magazine. Shawn a.k.a “Tags” is an 18 year old Hip-Hop recording artist and young visionary from the Bronx. 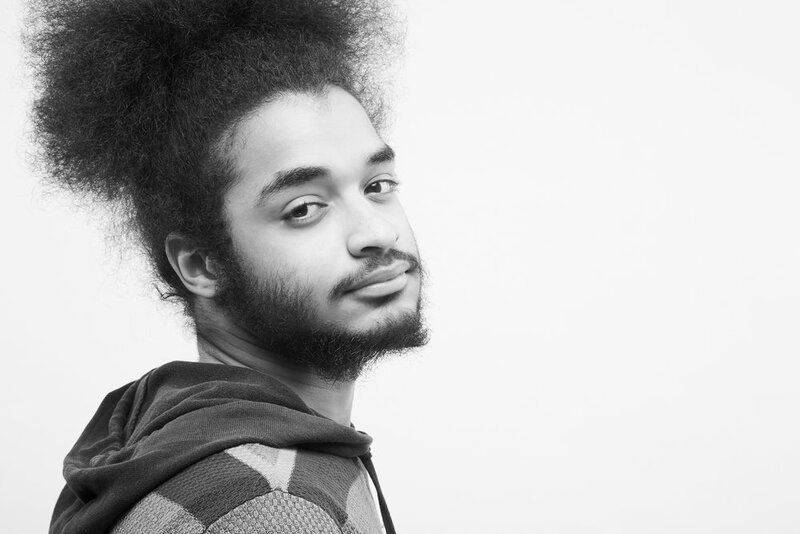 He began gaining a passion for music in the 5th grade when he won 2nd place in a Lehman college poetry slam. Tags has been perfecting his craft writing and recording songs over the years and released his first mixtape “Vibe Waves” in 2017. His goal is to create music that will relieve people from everyday problems, and plans on becoming a major icon in the music industry. 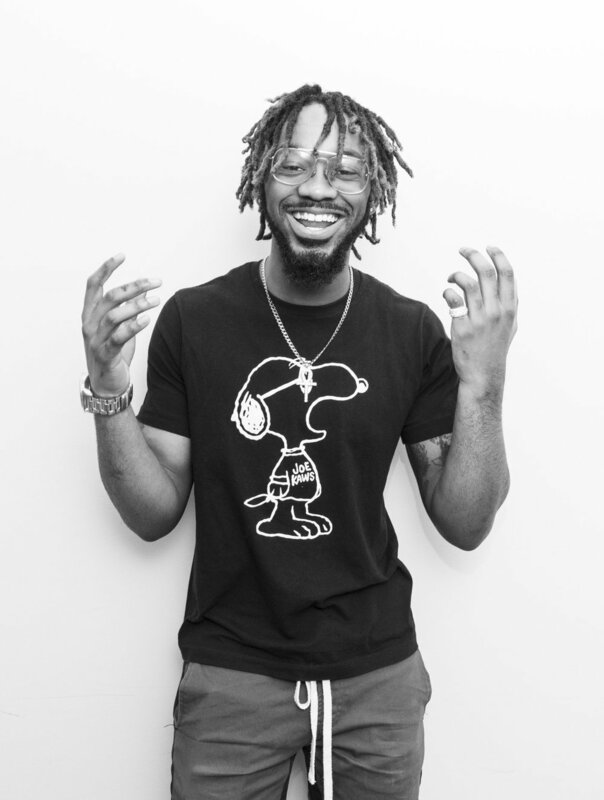 Tags is currently working with Art Start recording original songs while learning beat production and branding for his music group “Holy Boyz”. Tre aka “Tre Milan” is an artist, painter and fashion designer from the Bronx. He discovered his talent only 3 years ago in an art class with a very supportive teacher. He has his own brand which he calls “Unmatched” because his designs are unmatched to any other. At Art Start he is enrolled in a fashion course at the Fashion Institute of Technology (FIT) where he hopes to learn more about fabric and sewing. Once finished with high school, he plans to pursue a Bachelor's degree in fashion. In the future, Tre sees himself designing haute couture and luxury, showing his work in Paris, Milan and other fashion capitals whilst still able to return home. 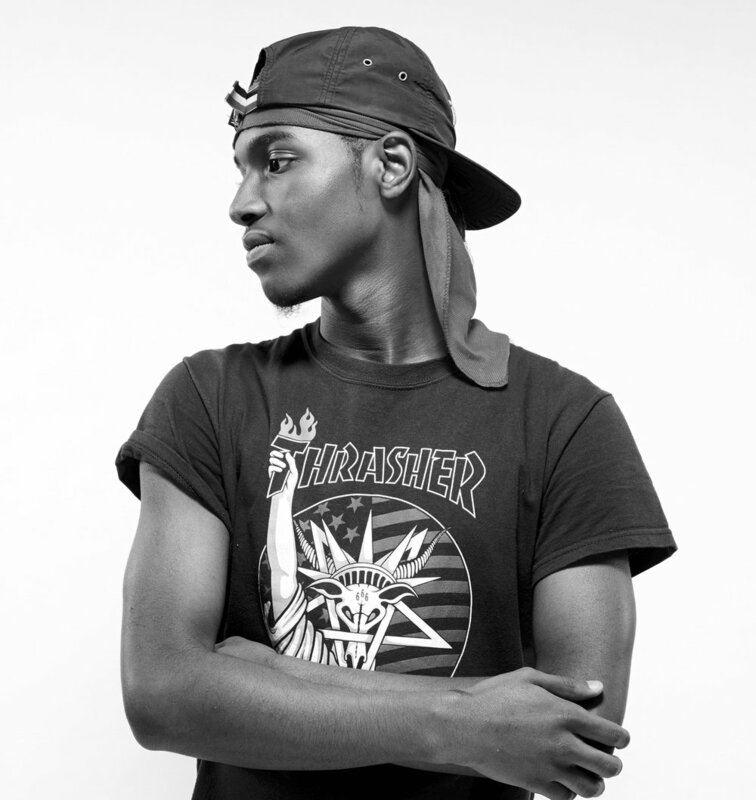 Dennis a.k.a “Dennis Gretzky” is a 17-year old rapper from Bedstuy, Brooklyn. What he loves most about rap is the rhyme schemes, metaphors and punchlines which he always incorporates in his music. In the Art Start program, Dennis is working with his mentor Miky, recording music every week. He's also taking a beat-making class to enhance his music production skills. He hopes to improve his flow and vocabulary so that he can make better music and in the future tour coast to coast. God Shomari “Daysean” is a 17-year old visual and Hip Hop recording artist from the Bronx, New York. In the 3rd grade, after witnessing a friend receive lots of positive feedback for his artwork, Daysean opted to pick up the pencil and start sketching. As he started middle school, his appreciation for Hip Hop and poetry evolved into a passion to write his own lyrics. These ‘hobbies’ led him to Art Start, where he improves on his artistic abilities, meets professional artists and showcases his talents. However, he feels that being able to work with peers who gravitate towards his aesthetic is the best part of the experience. Daysean aims to excel as a multitalented artist, expanding his horizon in the music production, voice, acting and fashion world. He has taken vocal lessons and a concept and character design class through Art Start while writing and recording songs with mentor Miky. Raphy a.k.a. “Doublee R” is a 19 year old New York rapper. He was born in the Dominican Republic (DR, Doublee R). Living in the Bronx, Doublee R fell in love with music at the age of 11, using it as a means to express his emotions. Art Start has given him opportunities to demonstrate his love of music at lots of events and field trips. He's currently taking beat-making classes while writing and recording his own songs. Doublee R wants to flow better, sound better and think better with the help of his mentor Miky. Malik is a 16-year old M.C. from Brooklyn. Malik came to Art Start by recommendation of program partner YO SOS (Youth Organizing Save Our Streets). Malik is passionate about social justice and often writes music that express his feelings about gun violence and police brutality. In the Emerging Artist Program, Malik records each week at the Art Start Studios. He workshops his writing with his mentor and will soon begin making his own beats. Tayahna is a 15 year old singer, rapper, songwriter and music producer. Tayahna’s talent was first discovered at the early age of five, when her mother entered her into local talent shows where she always came in first place in her category. Since then, she has been performing all over NYC. Tayahna believes that performing is what she was born to do and says it’s as important to her as breathing! She spends the majority of her free time creating and recording her own songs and beats using Pro Tools, Logic, and Reason. Tayahna also plays the piano and the acoustic guitar. Her dream is to become an international recording artist and performer so she can share her music and talent with the world.